Colonel, United States Marine Corp. Colonel Matthew Bogdanos is a native New Yorker, raised waiting tables in his family’s Greek restaurant in Lower Manhattan. A middleweight boxer who joined the U.S. Marine Corps at 19, he left active duty in 1988 for the New York County District Attorney’s Office. Remaining in the reserves, he led a counter-narcotics operation on the Mexican border and served in Desert Storm, South Korea, Lithuania, Guyana, Kazakhstan, Uzbekistan, and Kosovo. Losing his apartment near the World Trade Center on September 11, 2001, he joined a counter-terrorism task force in Afghanistan, receiving a Bronze Star for actions against al-Qaeda. He then served in the Horn of Africa and three tours in Iraq—leading the international investigation into the looting of Iraq’s National Museum—before deploying again to Afghanistan in 2009. Exposing the link between antiquities trafficking and terrorist financing, and presenting those findings to the United Nations, Interpol, British Parliament, and the Peace Palace in The Hague, he received a National Humanities Medal from President Bush for helping recover 6000 of Iraq’s treasures in eight countries. He holds a classics degree from Bucknell University; a law degree, master’s degree in Classics, and Recognition of Achievement in International Law, all from Columbia University; and a master’s degree in Strategic Studies from the Army War College. In addition to dozens of military decorations, he received the 2004 Public Service Award from the Hellenic Lawyers of America, 2007 Proclamation from the City of New York, 2009 Proclamation from the City of Philadelphia, 2011 Ellis Island Medal of Honor, and was Grand Marshal of the 2010 Greek Independence Day Parade. Returning to the DA’s Office in October 2010, he still boxes wounded veterans and continues the hunt for stolen antiquities, recently leading an investigation that resulted in the largest recovery of looted antiquities in U.S. history: $150 million in statues stolen from India, Pakistan, Cambodia, and Afghanistan. All royalties from his book, Thieves of Baghdad, are donated to the Iraq Museum. *FB: Read the intervies of Matthew Bogdanos in the Archeology Magazine (http://archive.archaeology.org/online/interviews/bogdanos/). Honorary Senior Lecturer in Heritage Education University College London Institute of Archaeology, UK – Senior Lecturer MA Heritage Management, University of Kent-Athens University of Economics and Business, Elefsina, Greece. Mike Corbishley has spent his working life promoting heritage education in a variety of ways; teaching in schools and in adult education, training teachers, encouraging adults and children to take an active part in archaeology. 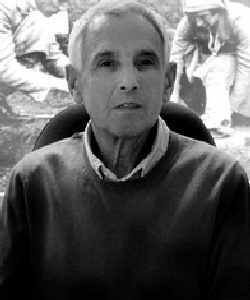 He helped set up the Young Archaeologists Club in 1972 and is still involved as a leader in the Institute’s branch. He was appointed the first education officer at the Council for British Archaeology in 1977 and went on to join the education department of English Heritage in 1984. During his time at English Heritage he was also the Head of Interpretation and was responsible for commissioning the interpretation scheme at Down House. When he retired from his post of Head of Education he joined the Institute of Archaeology in 2003 as a lecturer in heritage education and principal consultant in education in the Centre for Applied Archaeology, UCL. He is responsible for the education programmes and resources for the Institute’s major research project at Ancient Merv in Turkmenistan. He has written a number of books for children and teachers about archaeology, the heritage and the ancient world. He has also contributed papers to professional journals and was responsible for commissioning the extensive Education on Site series for teachers while at English Heritage. Dipl. Arch. Eng.-M. Arch NTUA, Ph.D. (Εdinburgh 1987). Professor of Theory, Philosophy and Practice of Architectural/ Urban/Landscape Design, National Technical University of Athens. Researches / publishes / teaches (1984-1987, Univ. of Edinburgh / UK and since 1989 at NTUA): ‘Philosophy / Theory / Studio of Architectural / Urban / Landscape Design’ and ‘Philosophy, Planning and Design for Architectural, Archaeological and Cultural Landscapes Heritage Management’. His Architectural/Urban Design projects have been awarded with 17 prizes in National/European Competitions and the 2010 EUROPA NOSTRA Medal for Architectural Preservation. Invited Professor in many schools of architecture in Europe, US and Japan. 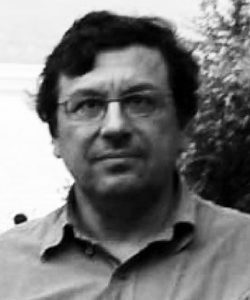 Expert member – ICOMOS International Scientific Committees THEOPHILOS (Theory and Philosophy of Conservation) and ICOMOS-ICIP (Interpretation and Preservation of Cultural Heritage Sites). Academic Director, Ironbridge International Institute for Cultural Heritage, University of Birmingham. Dr Roger White has been Academic Director at Ironbridge Institute for 15 years delivering postgraduate programmes that offer a unique perspective on the heritage industry and how it operates today. 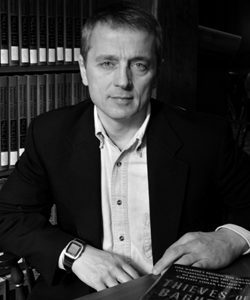 In working with heritage studies, he brings a focus on interpretation, on industrial heritage and on the presentation of archaeological sites and has been involved in heritage advisory missions to Libya, Georgia, Russia, Jordan and Brazil. 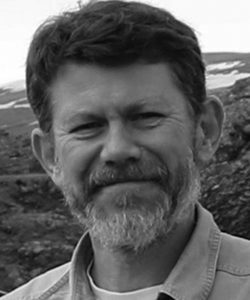 Dr Roger White currently serves on the Historic England Advisory Committee and is editor of the journal The Historic Environment, published by Routledge. 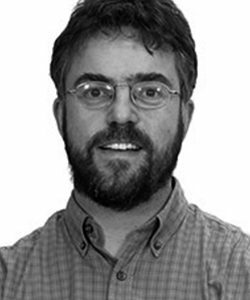 Dr. Cothren’s research interests include various aspects of digital photogrammetry, including sensor modeling, DEM extraction, feature extraction, and matching for orientation, integration of LIDAR point-clouds, reliability analysis of adjustment models, and integration with enterprise-scale Geospatial Information Systems. Dr. Cothren is a Research Associate at the Center for Advanced Spatial Technologies, University of Arkansas, Fayetteville, AR. His major tasks are to develop proposals, design and implement research. He is team leader of multiple research projects with 10 research staff members, while he oversees uses of and develops training for Center’s geodetic survey equipment. As a Photogrammetric Engineer at the National Air Intelligence Center, United States Air Force, Dr. Cothren directed photogrammetric and image understanding research for a division of 100+ imagery analysts and engineers. He also developed proposals, designed and implemented multi-million dollar research. Moreover, as an Officer/Scientific Analyst at the United States Air Force and Air Force Reserve, National Air Intelligence Center, he developed proposals for and was technical program manager of multi-million dollar budgets for research into improvement of intelligence collection from multi-source imagery including National Technical Means. He represented the National Air Intelligence Center on national-level technical intelligence working groups. Law Degree/University of Athens, LL.M., Ph.D. /University of Leicester, UK. Irini Stamatoudi is currently the Director of the Hellenic Copyright Organization (Hellenic Ministry of Culture and Sports). She holds degrees from the University of Athens, Greece (Law Degree) and from the University of Leicester, UK (LL.M. and Ph.D.). She worked as a lecturer at the University of Leicester until 2001 when she returned to Greece. Her specialisations are copyright and cultural property law. Since 2001 she has taught on various academic courses in Athens, Turin, Geneva and Strasbourg. 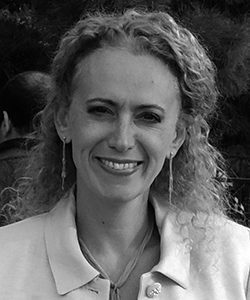 She currently teaches at the International Hellenic University in Thessaloniki and the World Intellectual Property Academy in Geneva. She has authored/edited thirteen books published in Greece and abroad (the publishers include Cambridge University Press, Sweet & Maxwell, Edward Elgar Publishing, Kluwer Law International, Nomiki Vivliothiki and Sakkoulas). Her mainstream book in cultural property law was published in 2011 and bears the title Cultural Property Law and Restitution of Cultural Property. A Commentary to International Conventions and European Union Law (Edward Elgar Publishing). She has also published widely in well-known law journals such as the Intellectual Property Quarterly, the European Intellectual Property Review, the European Law Review, the Revue Hellénique de Droit International, the IIC, the Journal of World Intellectual Property and Art, Law and Antiquity. Since 1999 she has participated in many bilateral negotiations between Greece and the UK on the Parthenon Marbles issue (under the auspices of UNESCO), she acted as a lawyer (2006-2008) on behalf of Greece in cultural property returns from the J.P. Getty Museum and the Leon Levy & Shelby White collection to Greece. She is included in the WIPO List of Arbitrators and Mediators, the UNESCO List of Mediators and Conciliators and in the ICOM-WIPO List of Mediators.